From the shearing shed to a sophisticated dinner party, this jumper is the perfect combination of timeless style and pure comfort! 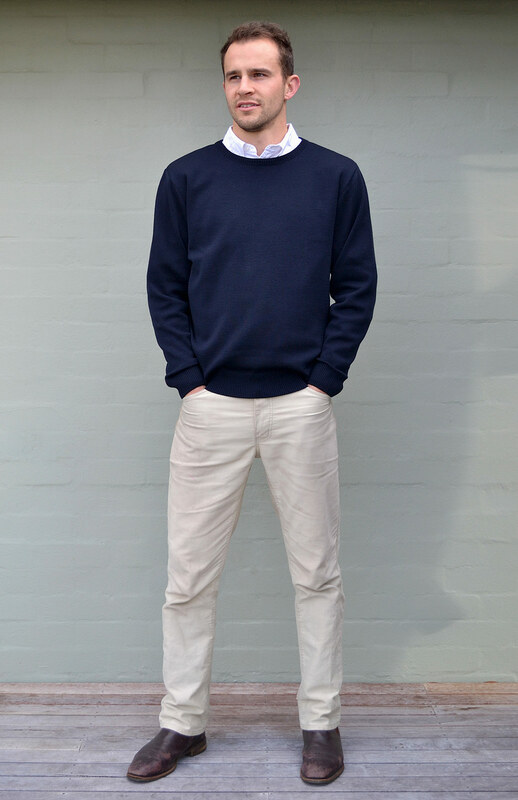 Made from heavyweight 400gsm Australian Superfine Merino and featuring 7cm cuff and hem detail, long sleeves and a tailored body shape, our Knitted Jumper has been tested and trusted for generations. There is no doubting this classic Woolmark grade jumper will be with you for years and years to come.